"The emotional-trigger research you conducted revealed critical, sophisticated and powerful insights that provided a valuable roadmap to the successful turnaround of our company." "The research you conducted for us has provided insights that have driven major changes in our business that have been critical to our continuing growth and success." The motivations customers act on are seldom logical, predictable, or even conscious. Instead, their strongest responses stem from one source: emotion. It's a deceptively simple reality. But it permanently changes the way organizations must go about understanding their customers. 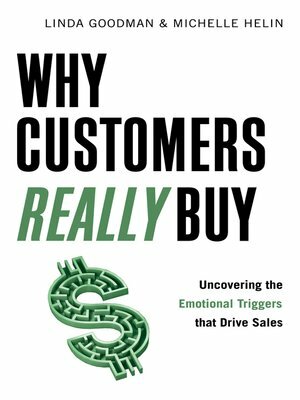 Why Customers Really Buy introduces emotional-trigger research, a revolutionary new approach that uncovers the core, unfiltered, and spontaneous triggers that drive customer sales. Traditional market research is outmoded and counterproductive because old methods measure rather than inform. They generate predictable answers that confirm preconceived assumptions. Why Customers Really Buy reveals how customers emotionally connect with a product or service, and goes to the very root of how to craft winning solutions to reach them.